Here is a list of some housing ideas for those with environmental sensitivities needing immediate or temporary safe housing. 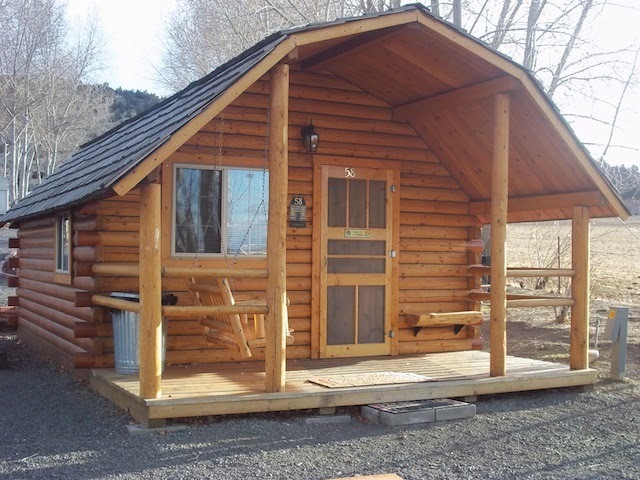 KOA cabins are located across the US and Canada. The cabins are made from mostly safe materials (mostly wood) and have been reported to be good places to stay for those who are environmentally sensitive. Ask if the wood has been stained recently. The bathrooms are separate and may or may not be mould-free depending on the location. Recently I'm hearing reports of these having gone mouldy. If the foundation or roof is not done right there is a good chance these could go mouldy. For a list of good locations to try, see this post. Ecovillages may rent out rooms in natural homes and there is a possibility of getting in on the communal meal plan as well. Search for some in your area and ask about monthly stays. The location you choose is also important as the outdoor air can be as important as the indoor air. 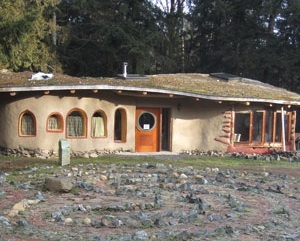 I have seen some natural homes listed on AirBnB as well as on lists of intentional communities/ecovillages. Always ask about propane, natural gas, cleaning products, and water damage. I have found that is wet/cold climates cob and similar materials do not hold up to mould after a few years. Regular tents can be difficult because of the chemicals used on the fabrics, the lack of insulation and the tendency for them to go musty very easily and be a lot of work with the airing out and drying out. I have a preffered tent which is an off the ground tent in my post on camping gear. Reflectix provides some R-value and reflects light so that should work in a lot of different climates, though the seams will reduce the insulative value. There are simpler designs for the structure that will reduce seams. You can't buy these - you would have to look online for the metal structure, then buy the Reflectix, foam, aluminum tape and duct tape and then have someone make it for you. See this post for the instructions. The tape may make this intolerable for some. And this also lacks air flow. I would also make at least one triangle out of polyethylene or an EVA Shower Liner so that you have some light. But have a flap of Reflectix over it that you open and close over this "window". Here is a patient who has made a tent out of Tyvek which she tolerates well. Another extreme reactor made a simple structure out of XPS foam boards. The two inch boards of XPS (usually Ownes Corning brand can be found easily) have a high insulative value. She arranged them in a tent shape, the groves in the edges holding them together. Rocks at the base pressing them together. Of course you could use tape if you can tolerate that or put plastic over the whole things. I have made two highly insulated shelters with ridged foam, raised off the ground and covered in a tarp. A wood structure may be needed to protect from wind and snow. Please contact me for details. These tents are insulated and the foil on the inside will also block most of the VOCs from the fabric on the outside. They say you can sleep in them down to 0 degrees celsius. They are 269 USD. They look like they would have problems with air flow and condensation inside. As well as being straight on the ground. For 18 USD you can get this aluminum lined small sleeping tent. It's not insulated but the aluminum on the inside is more tolerable than the usual canvas. 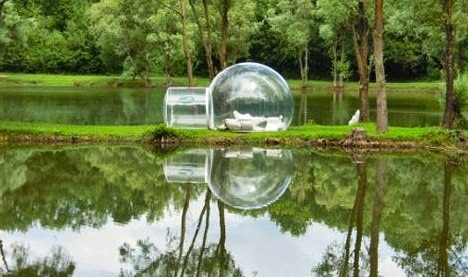 Made of thick polyethylene, these cute domes might inspire you to go glamping. They are available in the UK (Ebay) for 999 Pounds. Hopefully they will come to North America soon. They include a fan that circulates fresh air. Though they would still be impractical for hot or cold weather. Update: The bubbles available in North America are made of PVC which is toxic. There is no perfectly chemical-free tent as far as I know, but I have heard good things about cheap tents from Walmart, Big Agnes tents. Others report LL Bean and Colmen as having been tolerable. Some say Coleman is smelly and Lightspeed is better. Moonlight makes flame retardant-free tents coated with silicone on the outside and polyurethane on the inside. For more information please see these excellent articles by EI Wellspring on Safer Camping and Safer Camping Equipment. Here is my post on safer camping gear. Yurts are often tricky for a few reasons. They are normally made out of PVC which takes time to off gas. On top of that they are very difficult to insulate although one could just use them as an uninsulated tent. The wooden framing can be susceptible to mould if there is a lot of condensation or high humidity inside which can happen when heating up a small space. The wood also might be treated and could cause reactions. There are Yurts that have metal framing which may be preferable for some people. You could create your own outer yurt cover by using a more tolerable material, although it will not be as long-lasting as PVC. 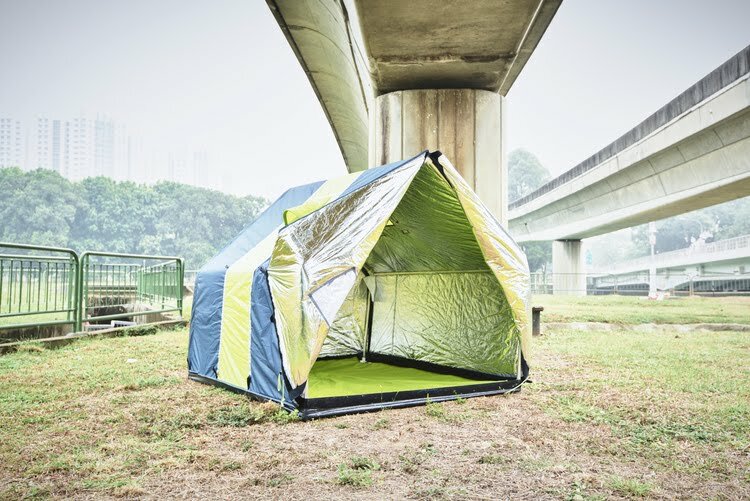 If you want to create a short-term Yurt or rather a glorified tent, you could use material used to make a tent, or you could use polyethylene sheets that are used for greenhouses, or you could use tarps. 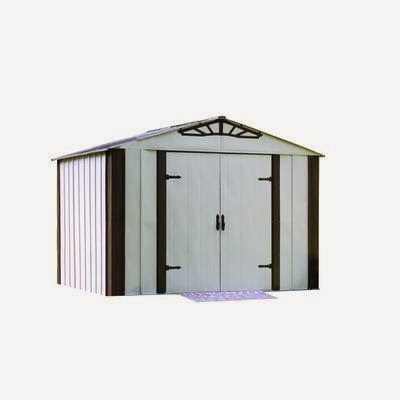 Steel sheds can be bought from hardware stores for 700-1000 dollars. You will also need to build a foundation, pay for labour to set it up, caulk the whole structure and likely put in some insulation. For everything you need to know about setting up a shed to live in see this post by EI Wellspring. Sheds are not as easy to take down as you would expect. There are also wooden and plastic sheds. I have seen some good little wooden shed kits made of solid wood. Raise them off the ground and cover with a tarp above that is not touching the shed. I like cedarshed.com for those who can tolerate cedar. Hard plastic sheds will work for many people. The more flexible the more it offgasses. A greenhouse can be used for backup shelter, it gets very hot when the sun hits them in warmer seasons and can dip really low at night in colder temps. But some people have used them successfully. Margaret talks about her experience with them here. Other glass and metal enclosures brands are Handi Hut and Four Season. I designed an all glass interior shed with insulation on the outside. Try and find an aluminum canopy. The bed liner should be offgassed or can be covered with Reflectix. If ordering a brand new truck you can request no liner. Details on making a cargo trailer safe in this post. To create a non-toxic room in your home you can use Denny foil, or heavy duty aluminum foil on the walls/ceiling/floor. These materials block VOCs (chemicals/toxins including mould). Heavy duty aluminum foil is much easier to work with than the type used in cooking. You may need several layers to totally block smells. You want to use green Painting Tape for this as it will not damage the walls and is easy to remove - a healthy person could rip off/take down the whole room is probably 20-30 min (small room). The blue tape is toxic so I wouldn't use that. You could use aluminum tape but it is very sticky and will leave a residue and will be hard to take off. Aluminum tape also smells much more than green tape. I would not do this where you have colder air inside than outside (AC use). Cover outlets. As for light fixtures, I would go around them. If you can't foil the walls you can make a room within a room and use positive pressure as explained here. We should have emergency and long-term safe housing for people with MCS. Check out the Environmental Health Association of Québec if you are a Quebecer. In Canada there is a national Housing Connection service connecting people renters with housing. More info here. If you are in the US, join Re|shelter's underground network. When I come across places on AirBnB that look safe I list them here. What a great post! I'm' going to check out Tu Tuf. I have never tried it. Thanks! I'm living in my van and loving it!